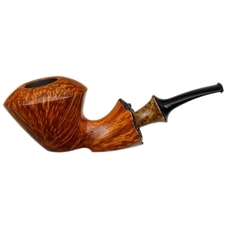 Kent Rasmussen just has a way of taking even the most stylized and structured shape and really transforming it into something beautifully organic and natural. 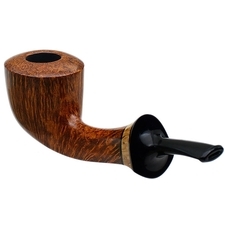 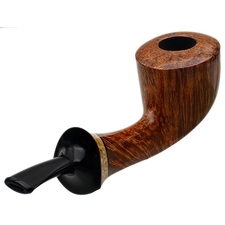 Here in this Dublin, for example, he's kept the overall structure of the bowl, with the defined taper down from the rim, yet he's framed it in a more fluid, natural style of transition and shank. 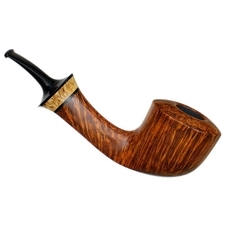 The lifting gesture of the heel, the elongated, sweeping arc of the transition, even the pronounced flare of the shank end, which itself is continued by the fancy mazur birch stem inlay, all take the more traditional form of the bowl in a novel direction, blurring the lines between shaping conventions and lending it that style of organic dynamism only Kent can execute. 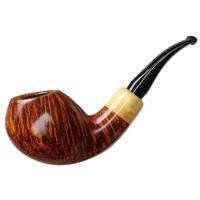 As natural and organic as the shape itself seems, that same ideology has been applied to the grain. 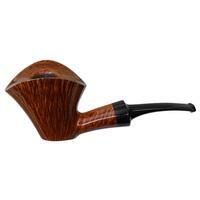 Simply put, this is a shape that focuses on displaying the block's natural beauty as cleanly as possible. 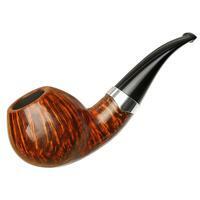 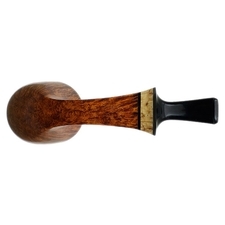 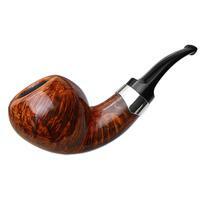 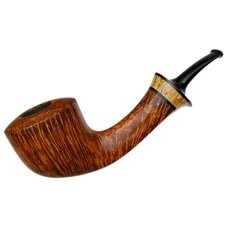 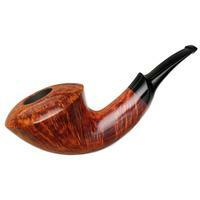 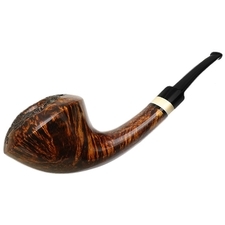 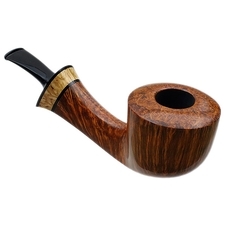 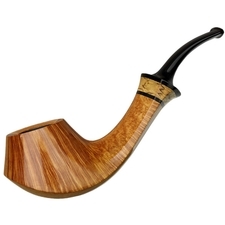 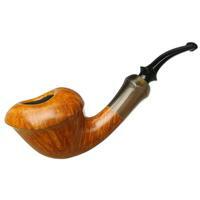 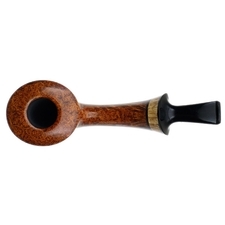 And in that, he's exceeded expectations, letting the briar's tight flame and straight grain pattern to really shine, with dense seas of birdseye along the rim and underside as well. 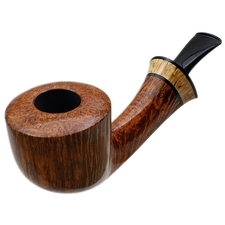 Splendidly natural work from Kent here.